The day was February 5, 2014. As a full time blogger who posts content daily (and manages every other facet of the business), I hadn’t had a full day off from the internet in months. And being someone who is passionate about the outdoors, any time off is often spent there. 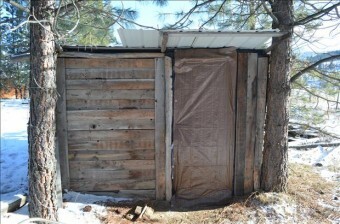 My parents have owned 20 acres of land for a couple decades out in what most people would consider the middle of no-where, though isn’t quite as remote as I normally like- the area does have a population of a few hundred people within a dozen miles- but it’s convenient and I built a small four-wall / tin roof structure I just call “The Shack” to stay in while there for extended periods. In the interest of testing out a camping stove my sister-in-law purchased for me for Christmas, I decided to take a day away from my computer and return to nature. 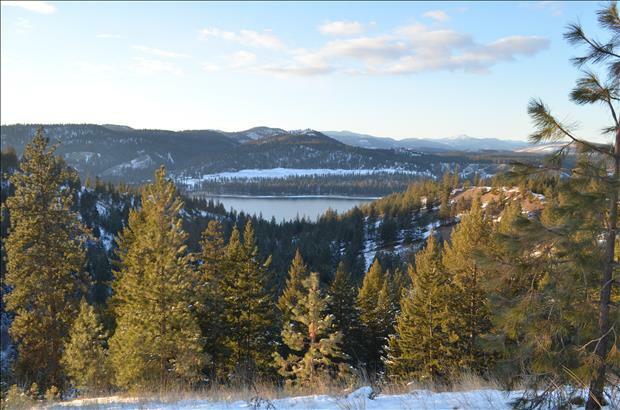 After all, what better time to test out such a stove then to head out when the temperature was projected to go into the negative at “the property”- about fifteen minutes outside the tiny town of Hunters, Washington, somewhat near Canada. Fast-forward to the evening there and I’ve thoroughly tested my stove, able to keep my make-shift shelter around 60 degrees Fahrenheit, despite the temperature of 7 degrees Fahrenheit outside the Shack. The problem is that my little stove can’t hold much wood, so needs fed nearly every 30 minutes. (It didn’t help that the wood was extremely dry.) To avoid having to get up frequently in the night to get the fire going again and avoid freezing to death (temperature expected to drop to -10 F), I decide to simply head home. Thus, around 4 p.m., I put out the fire, pack up my gear, and begin the 400-500 yard trek up to my car, which is annoyingly far away only because the key my dad gave me to use to unlock the lock holding the cable across the driveway did not work. I have a pleasant hike along the driveway enjoying being out in nature and away from a computer screen, when I happen to glance over to my left to see, about 200-250 yards away (rough estimate using a mental image of football fields as a gauge- obviously I didn’t get out the measuring tape), four animals silently streaking along in my general direction. My first thought, in the fading light, is that they are deer… but they aren’t running like deer. They also appear much bigger than coyotes, which are common in the area. It quickly registers that my parents, who are only there in the warmer months, the previous summer discussed the fact that thanks to conservation efforts, wolves had not only returned to the area, but were seemingly multiplying with vigor of late, much to the chagrin of the coyotes and deer in the region. Needless to say, being more or less in an open field with no trees that were practical to climb, I begin to run like I’ve never run before. This would be easier, if I wasn’t a prototypical blogger. We bloggers don’t get out much… in fact, we mostly just sit there. While our mouse clicking finger tends to get a good workout throughout the day- in fact, I suspect I could compete with the best of them at some form of index finger wrestling- we don’t actually get much else in the way of exercise, particularly those of us running every facet of our business, which is very time consuming. This all is exacerbated by the fact that my wife runs a popular cooking site, and is a phenomenal chef. While she has by some miracle managed to stay thin and beautiful, let’s just say the result for me is that, like the bowheaded whale of the arctic, I don’t necessarily need a jacket to stay warm in freezing temperatures. The wolves were potentially in for a feast. The other problem, besides being perhaps 40-50 yards from my car at this point and a couple hundred yards-ish from said wolf pack, was that to get to my car, I needed to ascend a hill that never seemed so steep (perhaps a 25% grade in truth, but at the moment seemed like Mount Everest). Like the mountainous Sherpa of Nepal, I valiantly sprinted up said hill, while practicing the “no man left behind” mantra of the Army Special Ops and Rangers (among others), i.e. completely forgetting to drop my 40 pound tool-filled camping pack in my adrenalin fueled dash up a steep hill with a pack of wolves rapidly closing. I think its important to point out at this stage in the story (for my own ego’s sake) that when I’m in the outdoors, I tend to enjoy it so much, that I often forget to eat, which was the case today. I became so involved in fixing a few minor problems with the Shack and setting up the wood stove and chimney in it, that I had not eaten anything all day. There is also the fact the temperature was 7 degrees F at this point, which isn’t comfortable to breathe heavily as you run for your life up a steep hill with a 40 pound pack. By the top of the hill, let’s just say passing out was something that was going to happen very soon- I am no Army Ranger. As I rounded the “gate” across the driveway at the crest of the hill (I didn’t trust myself to actually be able to jump over the cable at this point), I turned back to see that two of the wolves, which upon uncomfortably close inspection were perhaps around the size of German Shepherds, were already heading up said hill. Eerily, they still seemed completely silent… though at this point it’s possible my own wheezing breath and pounding heart was simply drowning out the noise of their running. The other two wolves were running straight up the side of the driveway which is significantly steeper and filled with brush slowing them down, but a much shorter distance. As wolves are skilled hunters, I presume they had been coming up the hill at a different place to attack from both sides, but I slightly outran their net… no big deal. I gave a last sprint towards my car about 20 ft away at this point… and by sprint, I mean I dizzily staggered towards it as the wolves approached at a much more vigorous pace. And now I need to take a moment to publicly thank whoever invented the technology that allows car doors to unlock when someone with the small device that substitutes as keys for the car touches the door handle. And I think one of the wolves in question should be saying the same thanks; I might have gotten one good swing in with my hatchet before the feast began. In the end, I reached the auto-unlocked vehicle, but wearing a large, full hiking pack, getting in quickly wasn’t going to be easy. 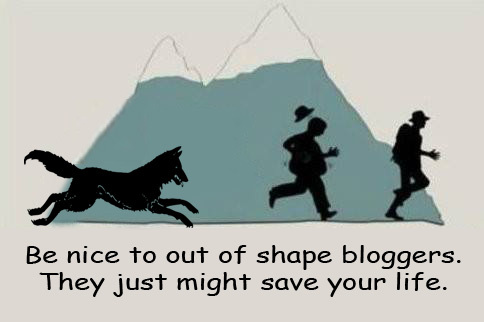 As about 20 ft or so ago at least two of the wolves were a mere 40-50-ish yards or so from me (and apparently not bloggers from the way they were moving, Usain Bolt has nothing on them- I looked it up later and, in truth, he really doesn’t. Gray wolves can run in lengthy bursts as high as 31-37 mph [about 15-18 yards per second! ]; Usain Bolt- 27.44 mph), I suspected the entry would have to be quick. Granted, at that point I was run-staggering on a flat, while they were ascending a steep hill, so I’m sure they weren’t at their maximum speed. But still, they were really moving the last time I looked and apparently wolves have biting power of about 400 pounds per square inch, not that much less than lions… I wasn’t about to take time to look back and see where either pair of predators were. Now reading how many yards per second they can cover, I’m glad I didn’t. Upon reaching the car, I ripped open the door, and dove in head first in such a way to fit my rather robust girth and my pack in at the same time, then quickly reached back and slammed the door behind me. The problem was, in the diving, I hit my head on the gear shift, because of course I did. No one has ever called me graceful. “Shrek”- yes, that’s a nickname I’m known by in parts of India (true story involving pushing a car loaded with people at one point in India’s insane traffic), but not graceful. This, combined with the exertion no blogger should ever be forced to endure, and having had major trouble breathing during the whole thing due to the frigid air, resulted in me quickly passing out. When I awoke much later, I found my car on and warm. Apparently before passing out, I had managed to hit the “Start” button though have no memory of this. Some time had passed and the wolves in question were nowhere to be seen, though I assure you I checked thoroughly with a flashlight (it was now dark) before exiting the vehicle to take off my pack and go around to the driver’s side of the car. It didn’t go all swimmingly from there, after only a few miles, I was forced to pull over for a time due to frequent dizzy spells, no doubt from the ever growing lump on my head combined with a newfound insatiable cough that I still have as a souvenir a week later. Nevertheless, after a time, I was able to continue on the two hour drive back to the warm embrace of not-outside, and particularly not in a place populated by packs of animals that unless a human is with a well armed group or an amazing shot (and manages to hear the wolves coming), might as well be at the top of the food chain. Not that I have anything against the wolves here. After all, thanks to my years of blogging and well above average height, I probably look like quite the feast in the dead of winter. If I were them, I’d eat me too. Contrary to popular belief (popularly spread by Animal Planet in 2003), a wolf’s howl does indeed echo. In fact, all sounds echo given the right environment, namely: a good medium with which to reflect off of that is close enough where the sound is still audible when reflected back and also far enough away that the echo is perceptible (must be a delay of over 1/10th a second for the human ear/brain to distinguish it from the original sound). The myth that their howls don’t echo probably came about as wolves often howl in the forest. The forest doesn’t provide a good medium for producing echoes; sound tends to get absorbed, rather than reflected. There’s also the fact that wolves will use echoing to their advantage at times, often as a defense mechanism. In this case, they will howl in wavering or modulated tones, rapidly changing the pitch. They use this trick to make neighboring packs, or anything else nearby they perceive as a threat, think there are more of them than there are. In this case, a few wolves in a small pack will howl all at the same time changing pitches very rapidly. This, combined with potential reverberation, will often make an enemy think there are more of them and, with any echoes, often that there are wolves all around. Wolves take howling very seriously. For instance, if lower ranking wolves in a pack (usually young ones) choose to join in on the howling at inappropriate times, they are punished severely for this- sometimes even killed if they don’t learn their lesson, as it may put the whole pack in danger. Wolves often howl during a hunt to coordinate their efforts, such as to communicate where the thing hunted is or where each member of the rest of the pack is at any given moment. During a hunt, they are frequently spread out over great distances. Howling in this case is dangerous, however, if there are other packs around, so they won’t do it unless necessary. 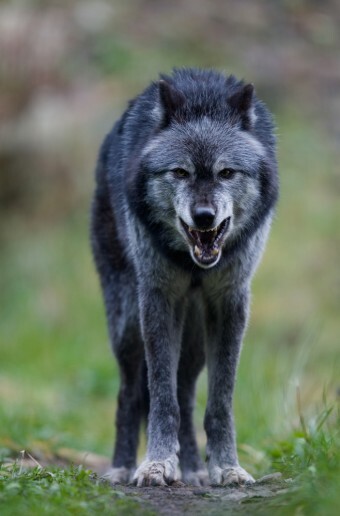 The typical low pitch and long duration of a wolf’s howl produces sound waves that are well suited for transmitting sound at great distances through even dense forests. The disease, lupus, got its name from Renaissance physician Paracelsus (or perhaps Giovanni Manardi- this is somewhat debated) comparing the ulcers to a hungry wolf eating flesh. It isn’t known whether the dog was purposefully domesticated by humans or if they were self-domesticated, with certain of the gray wolves becoming friendly with humans from continually scavenging food scraps around human camps. Also, similar to the domestic cat that all likely descended from just a handful of cats, it is thought that all dogs descend from just a handful of gray wolves in a small number of domestication events. In the dog’s case, this probably took place in East Asia, with the dogs quickly being bred and spreading throughout the world, even to North America around 10,000 years ago. Before “man” meant a male (for most of history it was completely gender neutral- equivalent to “human” today), the word “wer” or “wǣpmann” was commonly used to refer to “male human”. This word almost completely died out around the 1300s, but survives somewhat in words like “werewolf”, which literally means “man wolf”. As I can attest, wolves are opportunistic hunters, meaning they’ll eat pretty much anything they can get their powerful mouths on, even other wolves. In fact, in some cases they may even eat one of their own pack if it’s sick, dying, or dead. This sometimes includes wolves in their own pack that have been caught in a hunter’s trap. Depending on where they live and what their food situation is, wolves can reach as large as 190 pounds, though typically are closer to 100 pounds, give or take. According to National Geographic, a wolf can bite with approximately 400 pounds per square inch. For reference, a lion and a white shark bite at about 600 pounds per square inch in National Geographic’s testing. What makes you think they wanted to eat you? I doubt it. I lived with a wolf in my home for over ten years. Its entirely possible that they were curious, ie yah friendly. OTOH I guess its logically possible that they would have eaten him. Maybe they were teasing him. Living with a domesticated wolf in no way give you the right to assume they were not going to attack him. Wild animals, especially opportunistic predators don’t simply run towards you and split into two different groups to because they want to come say hello. They wanted whale sized human blogger for dinner. Wild animals don’t waste energy, when they spend the time and energy to stalk and chase (in the dead of winter) they do so in expectation that they will be rewarded with more calories than they expended. Your sister-in-law’s plot very nearly worked then. Wow! That is one amazing survival story. Thanks for sharing! And I am glad to hear that you are okay! Incredible story! You are so blessed to be here. In the wild wolves are more of a predetor than a wolf raise in a home. Snow, Temps and huger can bring out the wild in anything or anyone. Unfortunately this is going to happen a whole lot more and somebody will get hurt one day. 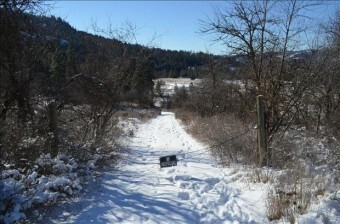 Dogs get killed here by wolves,people have been followed- time outdoors is not as relaxing as it once was. Thanks for sharing your story. What an experience that you lived to tell about. Running away is the very LAST thing you want to do if you see wolves!!!! Their strategy is to chase their prey into exhaustion. If you car wasn’t there, they would have eaten you as soon as you passed out. What you want to do is to slowly back away and don’t turn your back to them. Wolves won’t chase unless you run and they won’t attack unless you’re exhausted. If they still approach, you stand a much better chance of changing their mind if you stand your ground and don’t show your fear and vulnerability. That was absolutely hilarious in the presentation, yet horrifying in concept! Thank you for sharing that. I had been told from various scout masters and outdoorsman though that when encountering any kind of large carnivorous animal the worst thing you can do is run. Apparently this triggers their prey drive and they consider you as food when you run. You’re supposed to stand your ground, make yourself look as large and imposing as possible (which probably wouldn’t be too difficult in your brother’s case) and basically make them think twice about taking you on. Followed a link concerning lycanthropy to this, and I’m glad I did. Great story, and I’m glad he lived to tell it. First of all, wolves choose to be stay awake at night(nocturnal) because they learned that humans are dangerous, being humans as diurnal. Avoiding humans is best for them. But…they are still predators, Apex to be exact. When given the opportunity to kill, they will. After all, they need to survive.